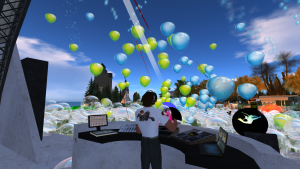 Last Friday, DJ Strannik ZIKR’s set went for 8 hours, breaking his previous record of 7 hours. The video above was taken near the end at around 2AM, with a few stragglers still on the dance floor, and featuring a couple of DJ Strannik’s original mixes. 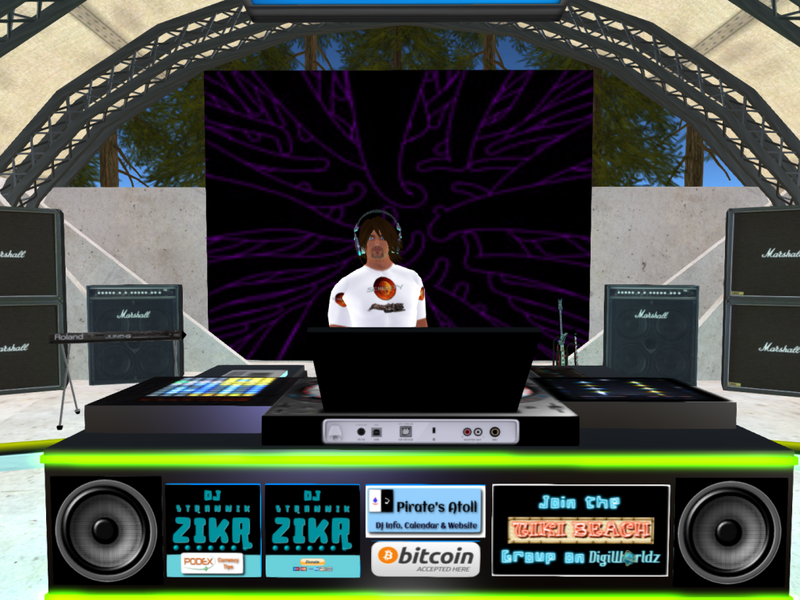 DJ Strannik Zikr at AvatarFest 2016! 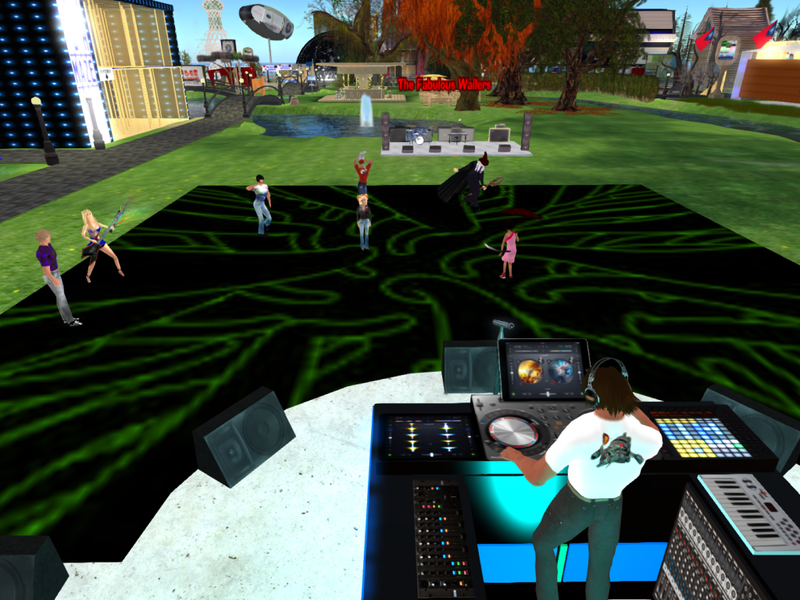 DJ Strannik Zikr’s second set at AvatarFest 2015 went 7 hours. This year, we start at 7PM and go until the last avatar drops! 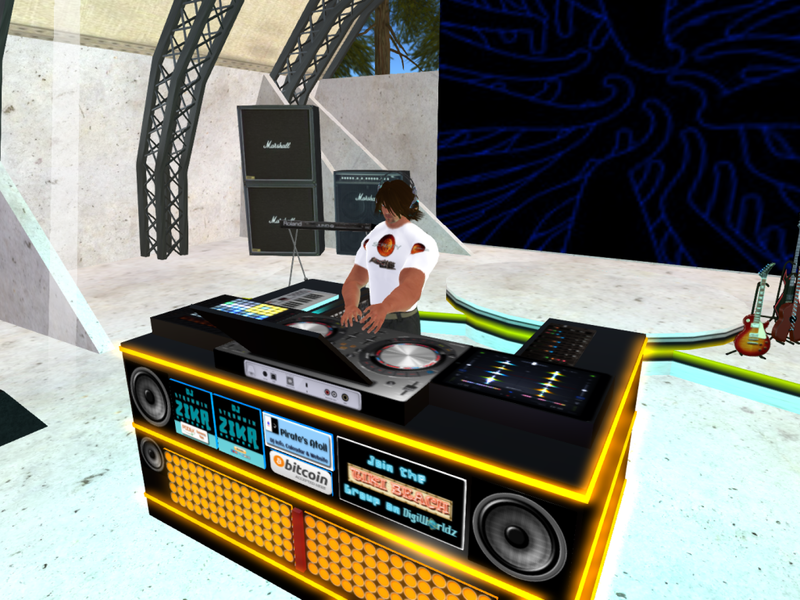 DJ Strannik Zikr spins eclectic tunes with sonic textures and solid beats to move your heart and your feet! From a Funky Punky Celi in the West to a Siberian Khatru in the East. Check this Page on how to get in-world. Pirate’s Atoll Surfzones now open! Two big surfable waves now come in from the West. One breaks directly on Tiki Beach, moving over the region sized water to the West of it. The other wave starts in the West by Surfzone Island and travels 3 Regions to Reefbreak Island! ATA Teleporters allow you to get back to the starting point to ride all over again. I have one “freeride” surboard and one kayak that you can use. 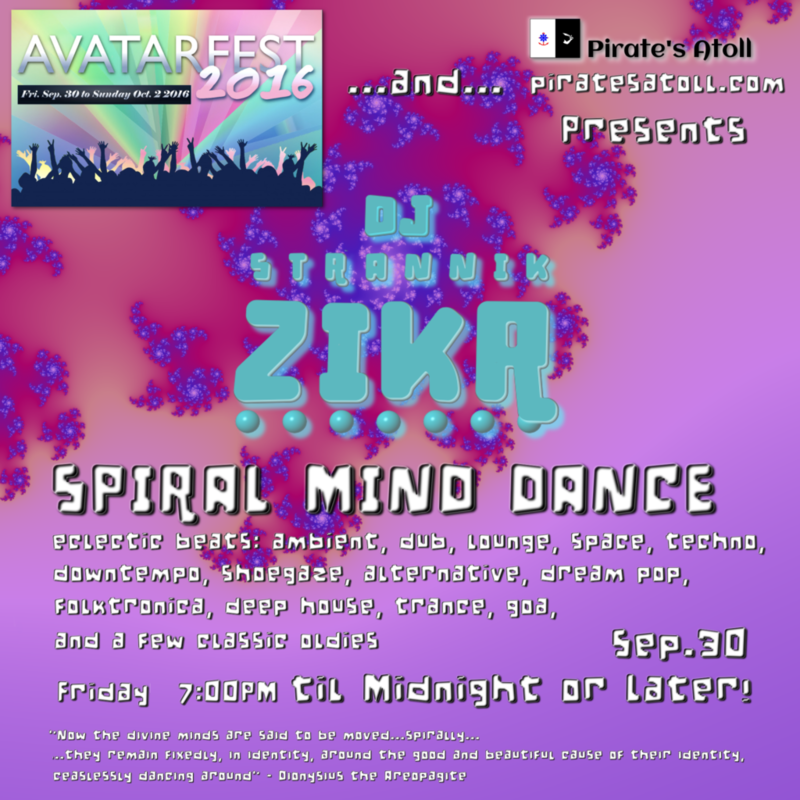 Try your skills on the waves, and then dry off and dance on Tiki Beach for the SPIRAL MIND DANCE on Friday nights at 7:00PM. The waves, surfboard, kayak and seagulls you see on Pirate’s Atoll are all developed by Magic Kayaker, one of the best scripters out there. 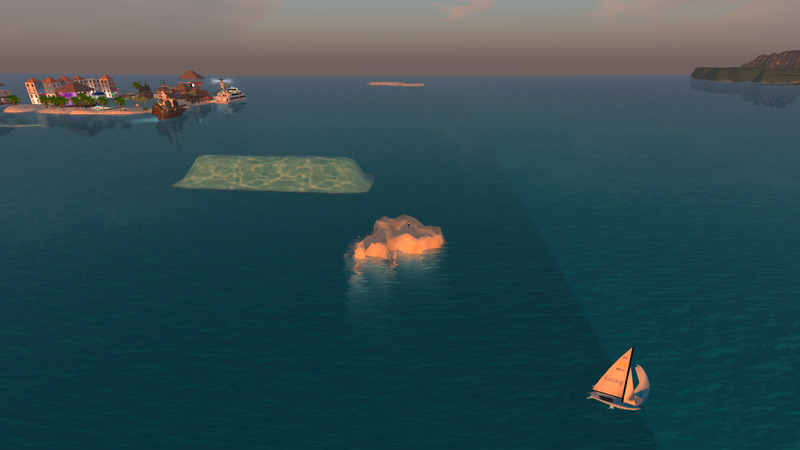 You can demo all of his stuff on his Kitely sim, Panthalassa. Be sure to check out his super Kitely Market Store. 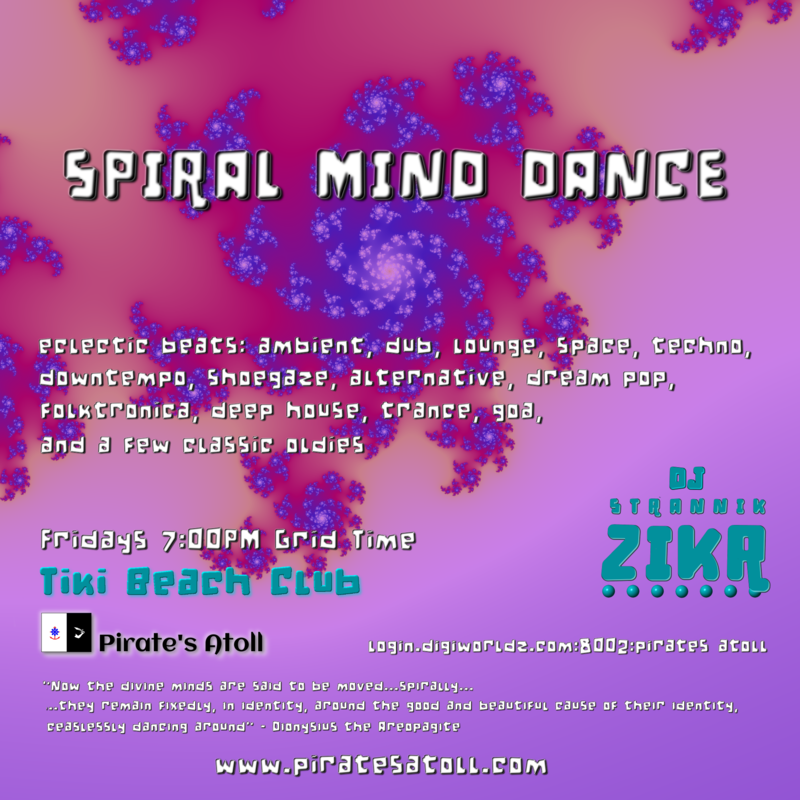 Spiral Mind Dance Fridays on Tiki Beach! It happens on select Fridays, earlier than ever. 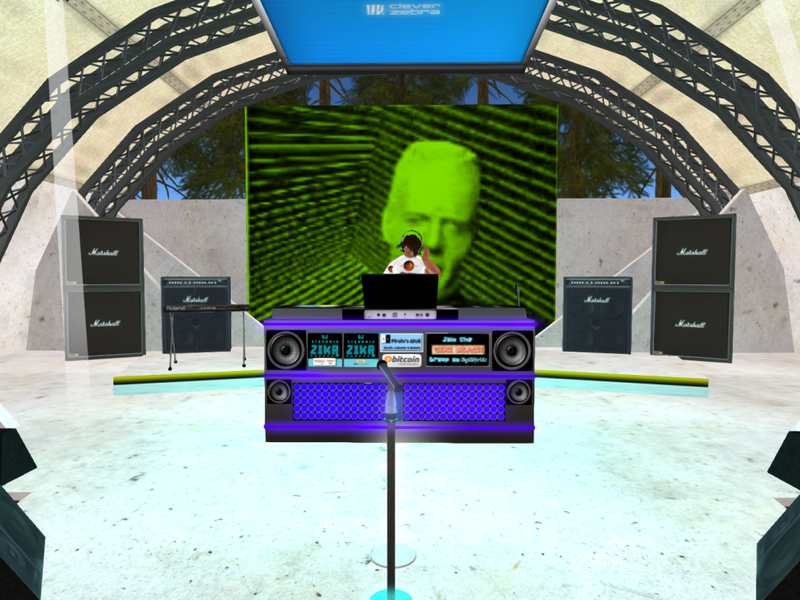 Sonic textures and solid beats by DJ STRANNIK, more eclectic than ever! More visuals and fireworks than ever! Occasional surprise live performances. 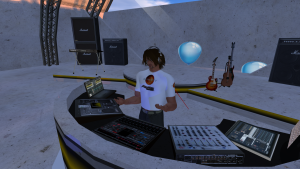 We go from 7:00PM until the last avatar (or DJ) drops. Bring your own libations. Check the calendar here to see which weeks this is happening. See this page to learn how to get here. Click on any of the ATA teleporters and select “Tiki Beach” to get to the party! 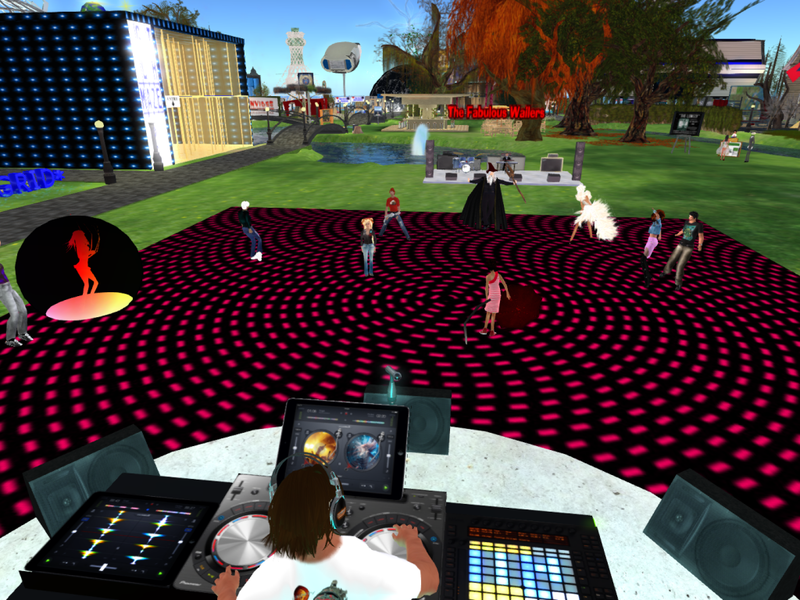 OSCC was on a smaller scale this year, and the after party on the Atoll was as well. We still had a good party with lots of people dropping by, and went for 4 and half hours. Last year, half of the 6 hour party was DJed by Strangeways Radio, which no longer exists as a streaming radio station (but you should definitely check out the playlists, podcasts and other forms of their music). I do continue to discover new tracks and mixes from them, so they did contribute to the mix, even if DJ Mikey wasn’t spinning the tunes. In case you were wondering, “Etheriel” is not a misspelling of “Ethereal”, but the name of a tune by my favorite Dream Pop/Shoegaze band Lush. I have just learned that Lush is getting back together and on tour (delighted shriek). Lush was heavily featured in the Etheriel playlists. Bootgaze: Shoegaze fused with Country/Bluegrass (I actually have a Bootgaze Pandora Station). 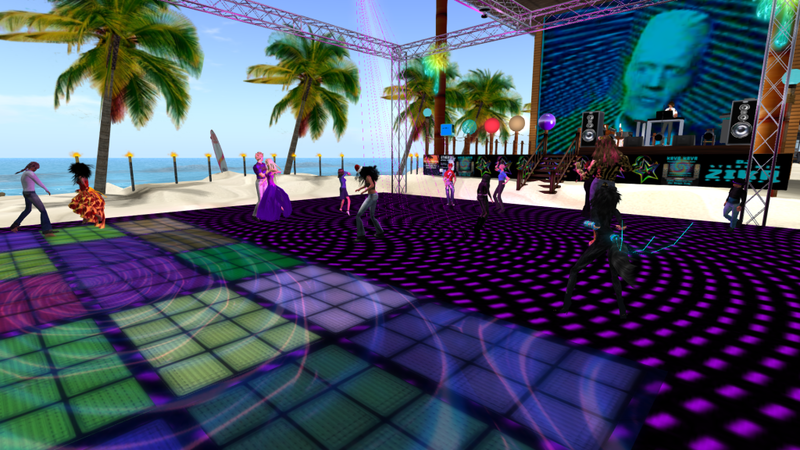 OSCC AFTER PARTY 2 ON PIRATE’S ATOLL! 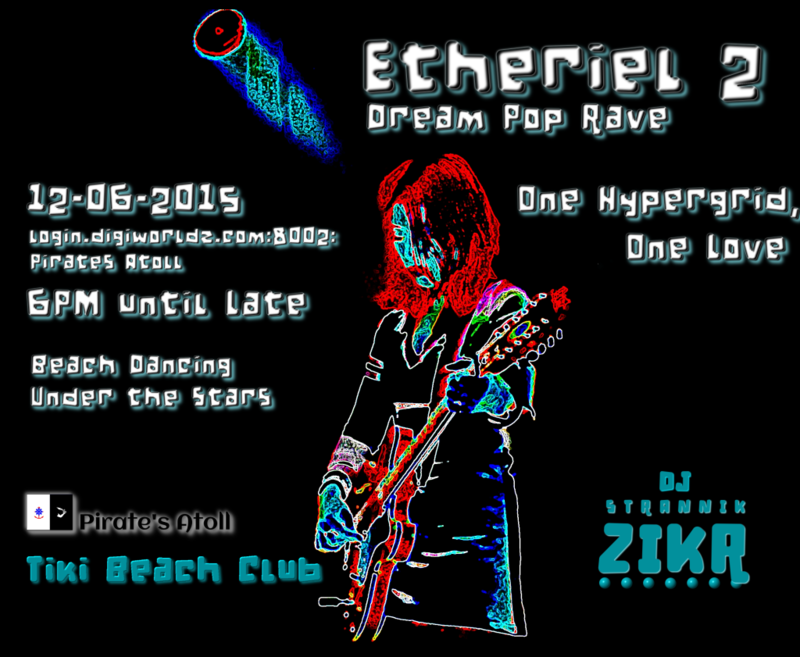 Last Year’s OSCC after-party on Pirate’s Atoll was legendary, and this one will top it! Party hop to the atoll after the conference, and the party on OSgrid. 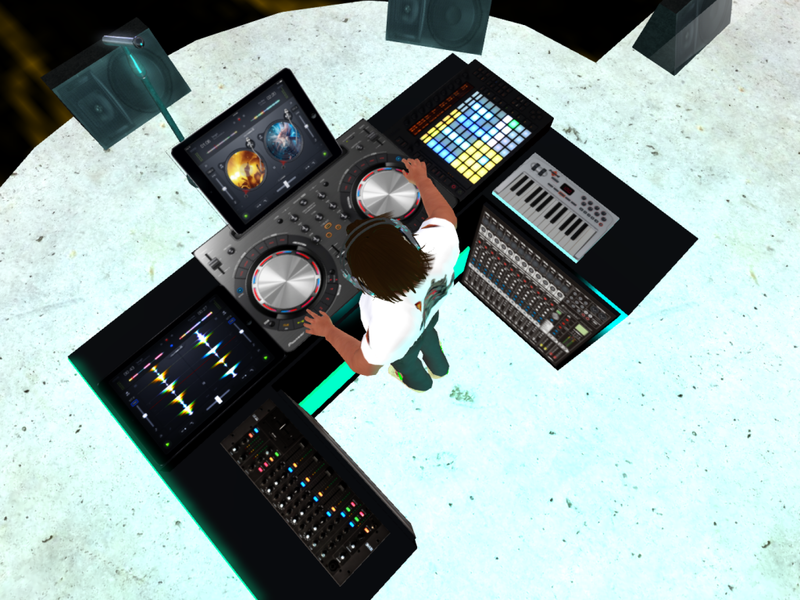 DJ Strannik is continuously upping the game on beats and sonic textures, visuals, fireworks and more! See this page if you need help getting to the atoll, and use the Atoll Teleporter to get to Tiki Beach. All times are SLT/PST/Grid Time. 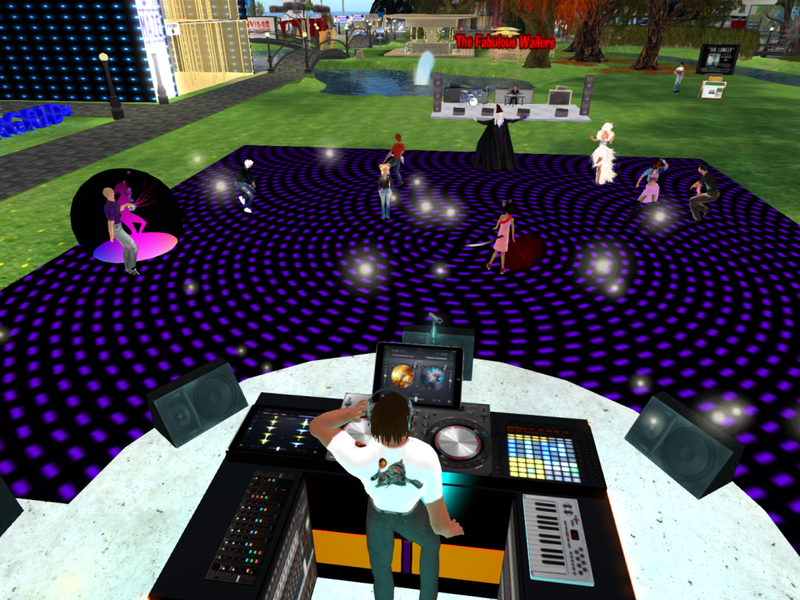 DJ Strannik Zikr spun tunes for two hours on Friday and SEVEN hours straight on Monday! It was a blast! 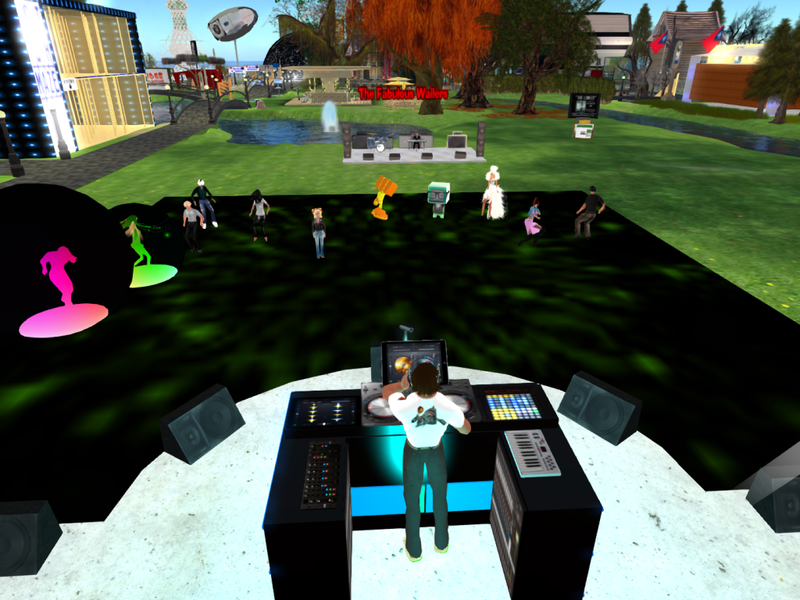 The exhibits are up a bit longer at avatarfest.net:6000, so go see them! Lots of people dancing, but you can’t see then through all the bubbles and baloons! STRESS TEST – DANCE HARD AND BREAK THINGS! I’m getting closer to a grand opening of the Tiki Beach Club on Pirate’s Atoll (since moving to Digiworldz). I have set up a new shoutcast server, and I want to see if it can handle some hard-dancing avs! So this Friday (11/6/15), Everyone is invited to dance their av off to some fast beats and solid tunes! 9PM (grid time/PST), Friday 11/6/15, and here is how to get there. 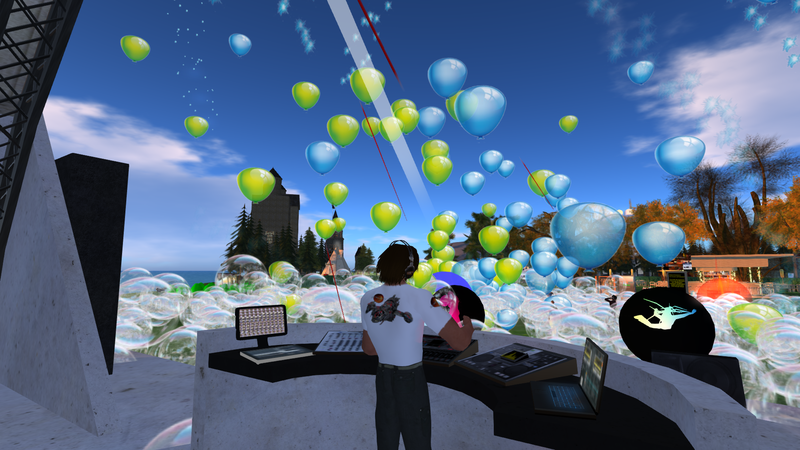 Pirate’s Atoll DJ Strannik ZIKR (strannik zipper) Will be DJing at this event on Friday (11/13) from 6:PM grid time until 8:00PM and on Monday (11/16) from 2PM to 4PM grid time. The word on the virtual street is that the Open Simulator Community Conference will be reduced in scope this year and will be later. 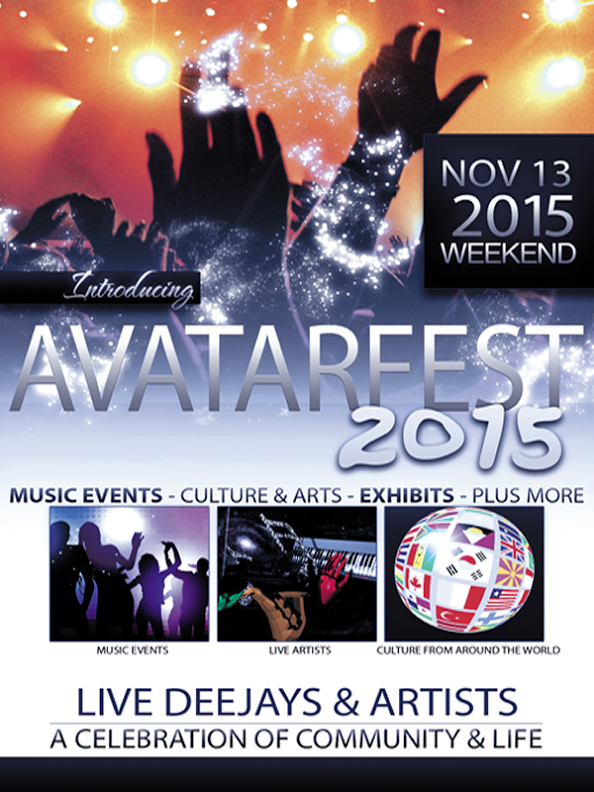 We had so much fun at the Conference and After-Party last year, that I am already ramped up to do some sort of major DJ event this November, and it looks like AVATARFEST will be the venue. After being a standalone region grid for a year or more, we have decided to join a grid. We have had a few successes as a standalone, first run by me on a VPS, and secondly hosted by Oliveira Lands, where Fernando Oliveira did probably a lot more work than he bargained for in keeping up with the demands of a busy standalone! 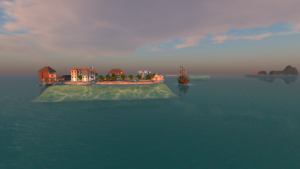 If you are looking for hosting that connects you to an open grid such as OSGrid, he is highly recommended. I now have some expansion room for a surfing/sailing zone, plus room to add things such as a Honky Tonk and some larger buildings. 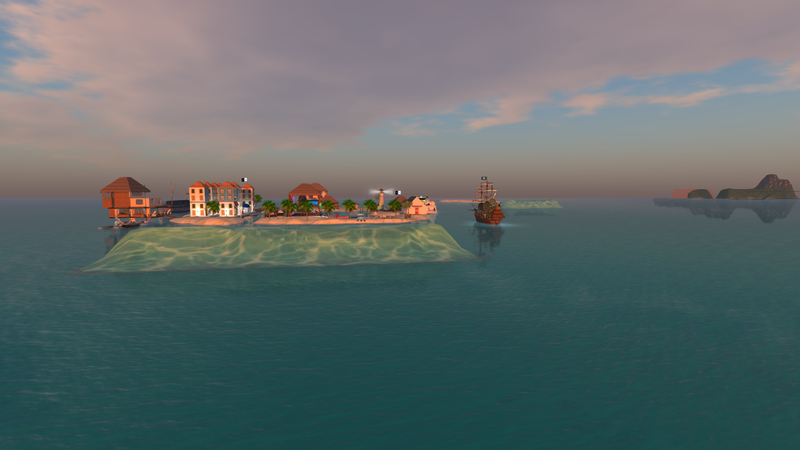 The region is already up (login.digiworldz.com:8002:Pirates Atoll), and as soon as a few things are fixed, I will have some sort of grand reopening. But you can visit now!